In Egypt, which has peace treaty with Israel, man gets life and woman 15 years for allegedly giving intelligence, submarine info to Israel. A court in Egypt has sentenced a man and woman to lengthy jail terms and slapped them with large fines after convicting them on charges of spying for Israel, a judicial official said Saturday. Their two alleged accomplices - Israeli intelligence officials - were sentenced in absentia to life terms, the official added, according to AFP. The man, Ramzy al-Shebini, was sentenced to life, and the woman, Sahar Salama, to 15 years. In Egypt, a life term generally means 25 years. The charge sheet claimed that, between 2008 and 2012, the two agreed to pass on to the Israelis "strategic information relating to the country's internal situation and information about the military's acquisition of German submarines." In the verdict handed down by the court in Giza province, the man was also fined 80,000 euros ($87,000) and the woman 10,000 euros. In two other cases over the past few months, an Egyptian and a Jordanian telecommunications engineer have been jailed for 10 years on similar charges. 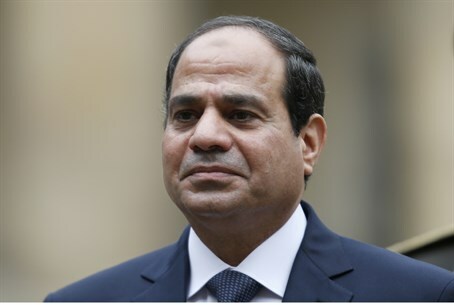 Egypt has a peace treaty with Israel, one caveat of which was recently breached when the Nile state stopped transferring natural gas from the Sinai peninsula to the Jewish state following a long string of terrorist attacks blowing up the pipelines. Regarding espionage charges, this is far from the first time Egypt has found a way to blame Israel's Mossad intelligence agency for meddling - back in 2010, a governor in the country famously accused Mossad of sending sharks to attack tourists and harm the economy.